You probably have your French press, your grinder, your scale and your coffee beans right in front of you and are so close to enjoy THE best coffee you have ever tasted in your life? All you need to know now is how to use the French press coffee maker the right way. And it is great that you are asking this question because even when it sounds so simple to fill up some water in a pot and push down a plunger, a lot of mistakes can be made and ruin your luxurious brew. In spite of your craving for a delicious fresh pressed cup of Joe, I would like to give you some insight into the history of the French Press. After this journey, I see it as my duty to make you aware of the common mistakes people make when they don’t read a post like mine *smirk*. And last but not least I will provide you with the steps to finally make a delicious French Press Coffee. It was the Italian inventor Attilio Calimani and his fellow countryman Faliero Bondanini who redesigned and improved the today known French Press in the 20th century, Calimani patented his in 1929 and Bondanini in 1958. 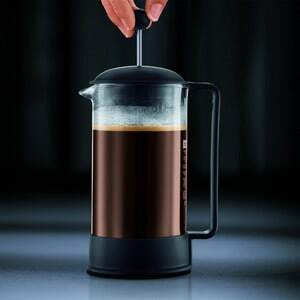 The first big company entered the French Press business in the 70’s: the Danish table and kitchenware company Bodum. 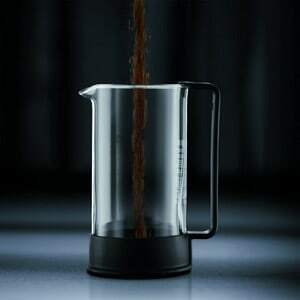 I have a review of a Bodum Coffee Press if you are interested. 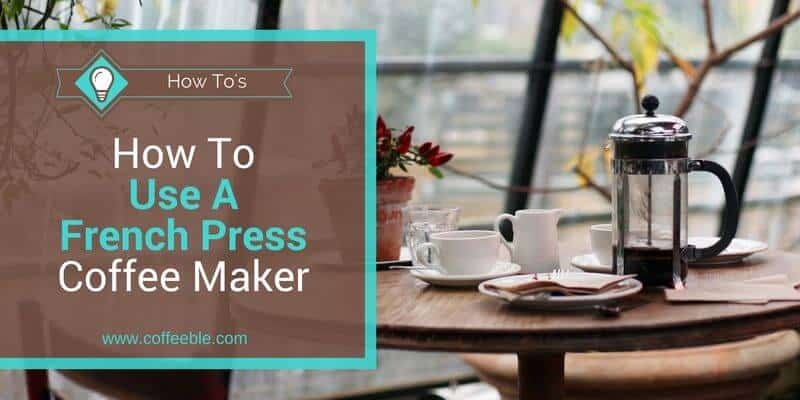 But don’t forget to return to this post since you actually came here to get the right steps how to use a French Press that I will present you right now! Brewing coffee in a French Press requires a coarse and even grind. If you don’t have a burr grinder you should consider getting one now. Look at my reviews of coffee grinders to find the right one for you! It is crucial for the taste and thus a unique experience to not expose your coffee too long to the water. So take out the timer or get one. It’s a small investment that makes a huge different. 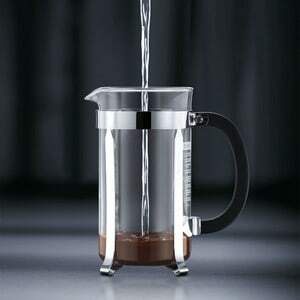 The French Press is designed to brew for its full capacity. When you press down the plunger with a full beaker of water and coffee, the space between the filter and the plunger is completely packed with the grounds and fewer sediments will sneak into your cup. If you use less water and coffee, this space is not completely filled and thus, the grounds are not pressed. As a result, fine grounds can swim into your cup. More sediments in your coffee are not only unpleasant, the additional extraction in your cup makes the coffee more bitter! So to recap: Either you choose the size you are planning to use most often or just buy two different sizes; a small one for yourself and a big one for guests, for example. This will help to keep the coffee hot for a longer time. 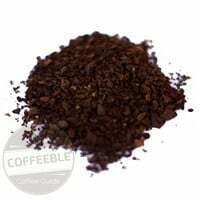 Use a coarse ground setting for least possible sediments in your coffee. It's fine to use off the boil water. When you don't pre-heat the French Press itself, it will cool of fast enough. Use 10g of coffee for every 100g of water (strong!) Increase ratio for less strong coffee. For pre-infusion purposes, pour just enough water to cover the grounds. Fresh roasted coffee will bubble (blooming). After about 30 sec. add the rest of the water (100 grams of water for every 10 grams of coffee for strong coffee - more water if you like it less strong). Stir just a little bit so all grounds are immersed in water. Than add the plunger (but don't push yet!). After 30 seconds (step 5+6) and an additional 3:30 minutes push plunger slowly. If coffee is not strong enough, wait an additional 30-60 seconds. Serve immediately. It the plunger’s resistance is too heavy, your coffee grounds were to fine. If the resistance was almost not there, your grounds were too coarse. I hope you enjoyed this post and if you followed the steps above you will experience a whole new coffee flavor. If there are any questions or if I missed something very important, please share it with me in the comments below and I am more than happy to get in touch with you.